View More In Cake Pop & Mini Cake Makers. Dimension: Cavity Size: 2.8" X 2.8"X 1"
Mold Size: 13.8" X 10" X 1"
1> Made of heavy carbon steel with super great heat conduct performance. 2> Non-stick Coating for easy release! 3> Oven safe to 450 Fahrenheitand and dishwasher safe. Try us, order it today! We guarantee the high quality and fast shipping. Enjoy your baking time now! Cavity Diameter 2.8 inches. 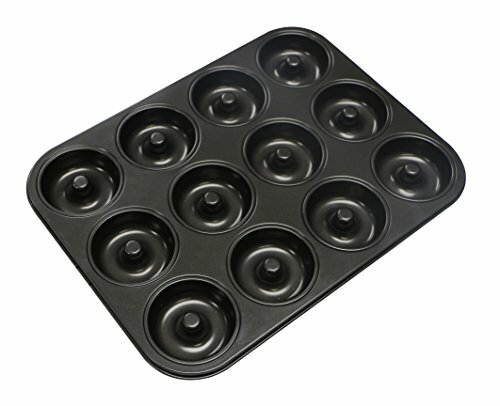 Mold Size: 13.8" X 10" X 1"
Medium Size-Non-stick Donut Pan is perfect for making Donuts. Made of extra thick heavy carbon steel with super great heat conduct performance. Non-stick coating for easy release and cleaning is a breeze! Oven safe to 450 Fahrenheitand and dishwasher safe. If you have any questions about this product by Webake, contact us by completing and submitting the form below. If you are looking for a specif part number, please include it with your message.